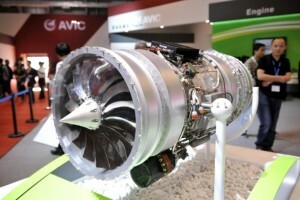 Chinese state owned Aviation Industries of China (AVIC) has purchased German aircraft engine maker Thielert. The deal was announced on Tuesday in Germany by Chairman of the AVIC board of directors, Ma Fu’an. AVIC made the acquisition through its subsidiary, Technify Motors GmbH. Financial details of the deal have not yet been made public. The Chinese firm believe the deal will boost its capabilities in general aviation piston aircraft engine technology. This allows AVIC to add the Centurion line of the electronically controlled Jet-A (diesel/kerosene) piston engines to its portfolio. AVIC had originally planned to buy Thielert’s military wing whose biggest customer is US-based drone maker General Atomics. However, delays in acquiring necessary German ministry approvals resulted in the scrapping of that deal. The company posted profits of over 120 billion RMB (about $19 billion) last year.